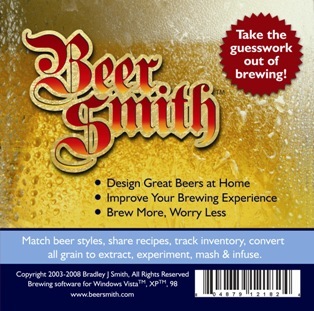 We’re pleased to announce that our BeerSmith Home Brewing Recipe Software is now available on CD through selected retailers. The new CD’s are professionally replicated in a slim CD case, and shrink wrapped with a UPC code for retail display and sale. Each CD comes with a personal registration key and installation instructions on the inside cover. We also have display stands available for counter-top display. Currently the CD’s are only being sold through our affiliate network, and are not available directly from our web site. Many of our affiliates will be receiving them in the coming weeks. You can help by referring your local brewing supply shop to us. Please visit our wholesale affiliate site for information on purchasing BeerSmith CD’s for resale, or share this article with your local store owner.